Posted: Monday, January 7, 2019, 11:07 a.m. 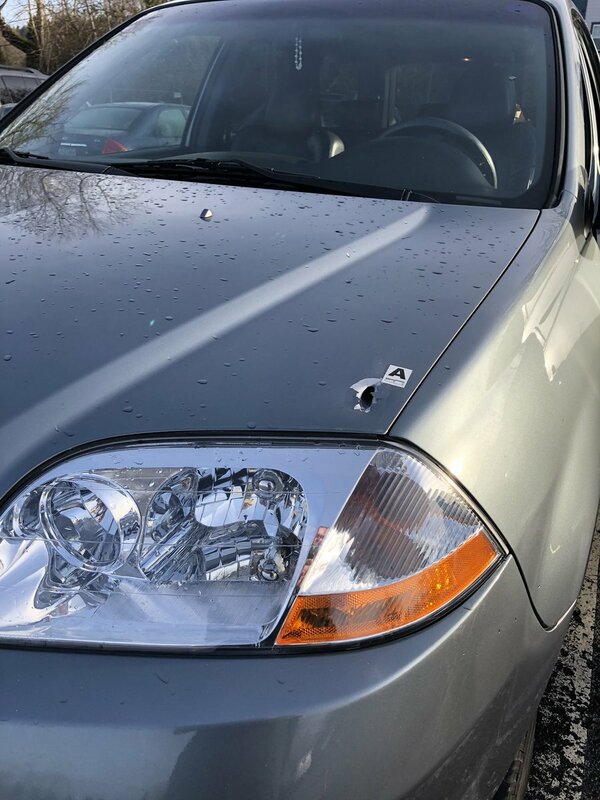 The Clackamas County Sheriff’s Office is investigating a shooting in a Winco parking lot that left a bullet-hole in the hood of an Acura. The Sheriff's Office is looking for a suspect vehicle -- a late-model red sedan. Photos are linked above, including a suspect-vehicle photo. At 9:06 a.m. on Monday, Jan. 7, 2019, Sheriff’s Office deputies responded to a 911 call reporting a shooting in the Winco parking lot at 11250 S.E. 82nd Ave. Upon arrival, deputies found an Acura with a single bullet hole in the hood. However, an eyewitness indicated that two rounds were fired. There were no injuries. Crime Scene Investigators (CSI) responded to the scene. Deputies and CSI personnel have finished processing the scene. Forensic experts have determined that the bullet struck the victim's vehicle near the front headlight and missed the victim -- who was loading groceries through a car door at the time -- by inches. The victim does not know the suspect, and a motive for the shooting is unknown at this writing. 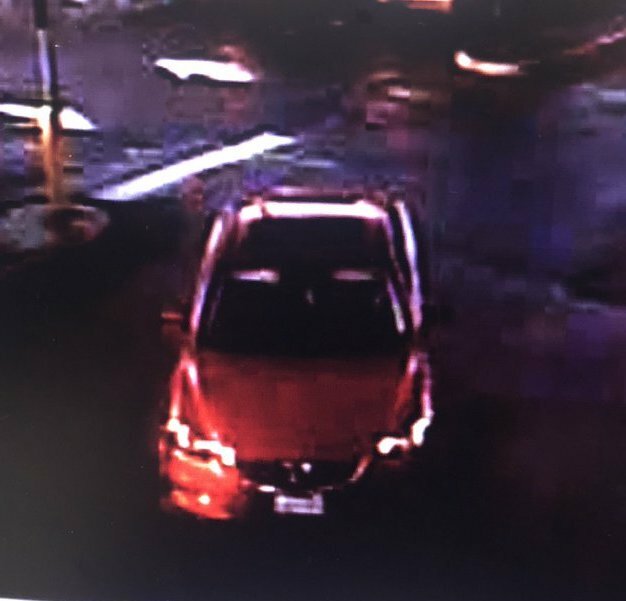 A red late-model sedan was identified as the suspect vehicle in the incident, and deputies have secured a surveillance photo of the suspect vehicle (pictured). A photo from the scene of the damaged vehicle is also linked above. The Sheriff’s Office is seeking additional information in this case. Anyone with information is urged to send a tip— by phone at 503-655-8441or 503-723-4949or by using the online email form at https://web3.clackamas.us/contact/tip.jsp. Please reference CCSO Case # 19-000494. 4/9/2019 Can you help us ID the 'Doggie Door Bandit'? Accredited by Oregon Accreditation Alliance.